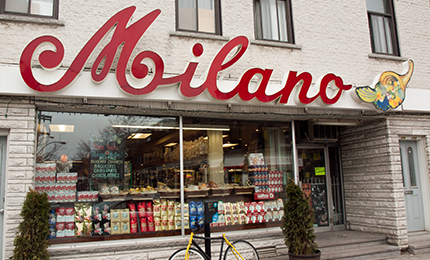 The Milano grocery offers an impressive selection of quality products. This gourmet paradise is a true haven for lovers of all things Italian. Here you will find an incredible variety of pastas (both fresh and dry), olive oils, balsamic vinegars, cheeses and meats imported from Italy. 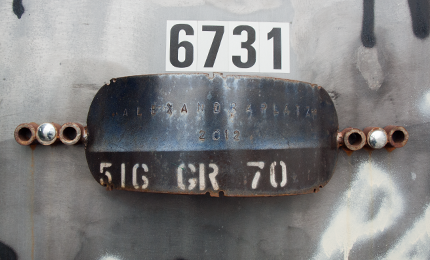 Inspired by German “biergarten” (open-air beer halls), AlexandraPlatz offers an authentic Berlin ambiance. Customers love the large terrace, house cocktails and warm atmosphere. At AlexandraPlatz, summer brings with it the smell of BBQ and the temptation of delicious of vegetarian hot-dogs. 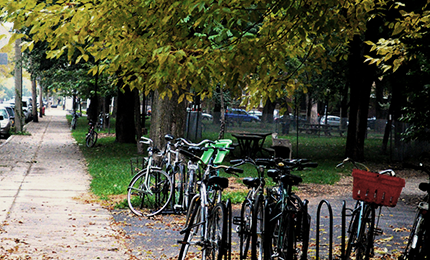 Sometimes it’s good to sit down on a bench for a few minutes and just breathe, watch the world go by, take in summer’s street entertainment, or chat with a colleague…At the Parc de la Petite Italie, time slows down to make room for relaxation. To discover it is to adopt it as one’s own. 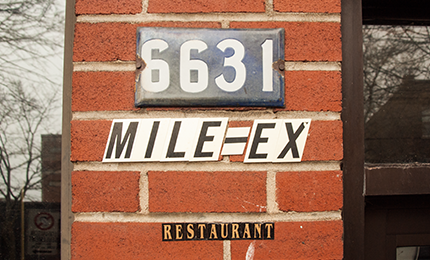 Le Mile-Ex is a canteen that serves the workers and residents of the neighbourhood. 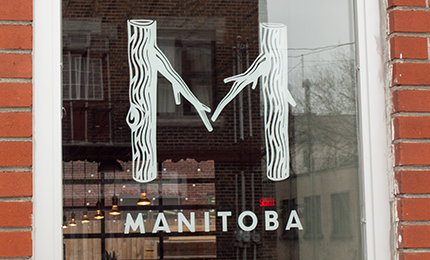 In a resolutely friendly atmosphere, it offers a rich and unexpected menu, with no fuss. Here you’ll find simplicity, generous dishes and trendy décor. 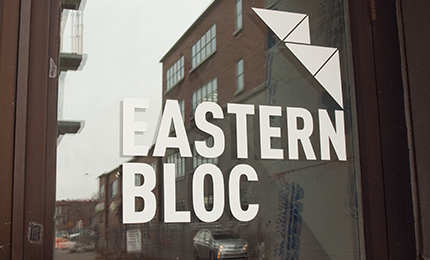 The Eastern Bloc art gallery offers unexpected art experiences to art lovers all year long: exhibits, vernissages, performances, and meetings with internationally renowned artist…The gallery’s program is both rich and eclectic. 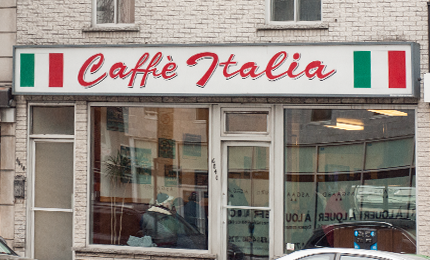 Coffee aficionados love visiting Caffé Italia, which is known to serve the best espresso in Montreal. You’ll return again and again for the authentic tastes, the freshly roasted goodness and the friendly, picturesque ambiance. 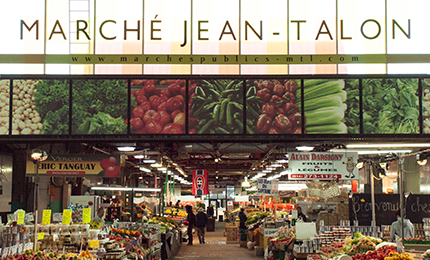 Going to the Jean Talon Market, first and foremost, means stocking up on fresh produce and local products; but it’s also an opportunity to chat with artisans and producers, drink in the atmosphere, feast with your eyes, breathe in the smells, wander around window shopping and get a taste of fresh fruit on the fly! Having the right bearded look can make a man look like a real gentleman. 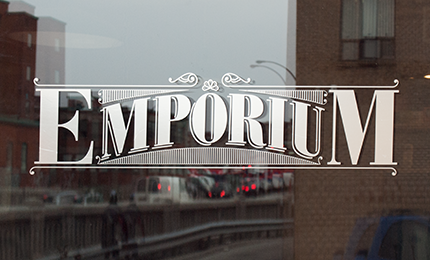 The Emporium Barber Shop is not only very hip; it also offers old-style shaving services, always with perfect results. The trendy and chic shop also sells high-end hair products. 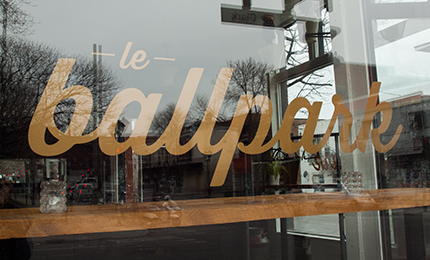 Ballpark’s delicious meatballs can be savoured on site, on the go or while sitting on a bench in Parc de la Petite-Italie. All kinds of meatballs are available, with various sauces, and the daily menu appears on a chalkboard according to the chef’s whims. To be successful in the kitchen, you need the right tools. 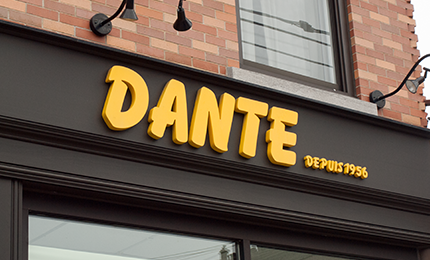 If you are looking for small electrical appliances or kitchen or cleaning accessories made in Italy, Dante is the place to find the best quality at unbeatable prices.